The treaty negotiation process involves much work – the work of negotiating, the work of getting ready and the work of implementation. First Nations leaders and the governments of Canada created the treaty process as a six-stage process. The stages are meant to guide the parties through negotiations. Ditidaht is in Stage 4 Agreement in Principle negotiations. appoint a formal contact person. Preparation for Negotiations: The parties come together for an initial meeting. Each party must show it is prepared to negotiate a treaty, they the have a sense of what they want to negotiate, and submit readiness documents. The table moves to Stage Three when the Treaty Commission is satisfied the parties are ready. Negotiation of a Framework Agreement: This stage is about defining the goals and objectives of negotiations. The parties discuss what they want to negotiate, and how they will make this happen. They also establish a timetable and the procedures (such as location of meetings) that will be followed. The parties also discuss a communications and public information program. Negotiation of an Agreement-in-Principle: Treaty negotiations begin. The parties discuss everything set out in the Framework Agreement, including lands and resources, self-government, treaty rights, culture and heritage, water rights, and finances. The parties also discuss and negotiate how consultation will occur throughout the traditional territory after Treaty. The goal is to reach conceptual agreement on each of the key elements or topics that will form the basis of the treaty. These topics will be the subject of additional, comprehensive negotiations during the negotiation of the Final Agreement. 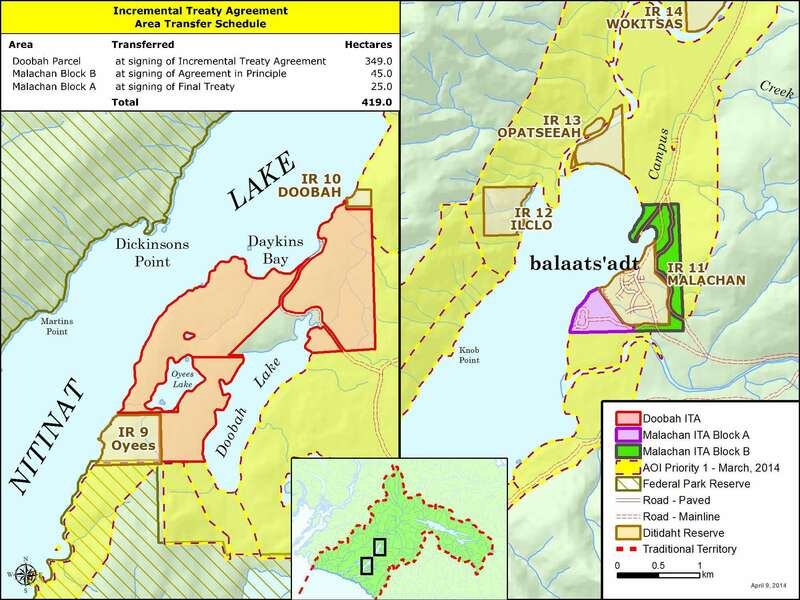 Ditidaht also identifies its proposed Treaty Settlement Lands at this stage, which will be subject to additional negotiations during both AIP and the negotiation of the Final Agreement. We won’t know the full extent of the Treaty Lands, until the negotiation of the Final Agreement. Negotiation of a Final Agreement: Once the Agreement-in-Principle is completed, the parties move to the Stage 5, which is the negotiation of the Final Agreement – to find out what will be in the Final treaty, and whether this meets Ditidaht’s needs and interests. This is where the parties have substantive negotiations on all aspects of the Treaty, and work to resolve and address all outstanding issues. This is also the stage where the real negotiations on the Treaty Lands happen. 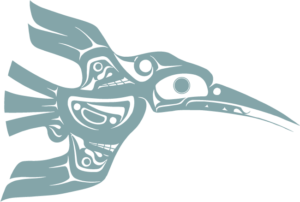 During the Final Agreement negotiations, Ditidaht will get a complete understanding of what the Treaty will look like and what it will include. The Treaty will not proceed unless there is a successful vote on the Final Agreement by Ditdiaht, and the treaty is formally ratified by all parties. If Treaty is successful, the parties move to Stage 6 which is Treaty Implementation. Treaty Implementation: Implementation is the hard work of turning the words of a Treaty into reality. This stage only happens after the First Nation votes to accept its Final Agreement. Implementation can happen all at once, or be phased-in over a period of time. The table remains active to oversee the implementation of the Treaty. On March 26, 2013, Ditidaht successfully negotiated and signed an Incremental Treaty Agreement (ITA) with the Province of British Columbia. The incremental treaty is a bi-lateral agreement with the Province that is separate and different from the treaty negotiations. The incremental treaty agreement provides DFN with early benefits by the Province transferring lands to Ditidaht at agreed-upon stages, even if Ditidaht never finalizes a treaty. What are the ITA lands? Incremental treaty lands are in addition to whatever lands we negotiate in the treaty. These early transfers return ownership of these lands to our people. Once transferred, these parcels of land will always be Ditidaht land – regardless of whether we achieve a final treaty or not. If we successfully negotiate a final treaty, the land will become treaty settlement land. Without a treaty, Ditidaht will continue to hold the land in fee simple. Where are the ITA lands? * Indicates Malachan blocks “A” and “B” (which are not the Reserve Malachan) will only be transferred subject to the ability to remove lands out of TFL 44. Otherwise, alternate lands are to be negotiated. The Doobah parcel is 349.6 hectares in size. It is located on the farthest entrance to the lake, and the entrance closest to the coast. Doobah is 7 times larger than our current reserve, Malachan. The parcel fits well with Ditidaht’s long-term land goals. It is the last remaining entrance to the lake not under our jurisdiction, giving us more say in how the lake is used and managed. It is also provides economic development opportunities in the area of recreation and tourism. The Malachan ITA lands, Block B (25.3 ha) and Block A (45.3 ha) have been identified as lands negotiated for transfer when the AIP is signed, and when Final agreement is signed. The Malachan parcels are different from Ditidaht’s IR 11 Malachan. The Malachan ITA Lands will only be transferred subject to the ability to remove lands out of TFL 44. Otherwise, alternate lands are to be negotiated. What are the benefits of ITA Lands? Incremental treaty lands can be used immediately for economic development or to build capacity. The Nation can also hold onto the land as part of a larger land plan. Land is transferred when a First Nation signs an ITA, when a First Nation signs an Agreement in Principle and when a First Nation signs a Final Agreement (but before implementation). Once transferred, these lands will always be Ditidaht lands. If we successfully negotiate a final treaty, the land will become treaty settlement land. Without a treaty, Ditidaht will continue to hold the land in fee simple. How does the Incremental Treaty Agreement work? The incremental treaty agreement provides lands to Ditidaht now, which creates opportunities for Ditidaht to obtain economic benefits before treaty, and encourages all of the parties to work hard to achieve a final treaty. When AIP is completed, more incremental treaty lands transfer. If Final agreement is approved, additional Incremental Treaty lands transfer, along with all of the other treaty settlement lands to be negotiated. How are ITA Lands different from TSL? The treaty settlement lands negotiated under treaty will include the incremental treaty lands, but will not be limited to the ITA lands. If Ditidaht ever reaches a Final agreement in the treaty process, the ITA lands will become treaty lands, and will be subject to Ditidaht’s full jurisdiction and control. Even if no treaty is reached, Ditidaht will continue to be fee simple owners of the ITA lands transferred, forever. We are also negotiating a Strategic Engagement Agreement (SEA) to maximize our governance authority within our entire traditional territory (off-treaty settlement lands). An SEA will help protect our aboriginal rights off-treaty settlement land, and create opportunities for co-management or partnerships. Co-management and partnerships throughout our territory is the key to making our treaty work – this is how we will create economic opportunities for our people. Ditidaht has been negotiating at a common table with the Pacheedaht First Nation since 1996. The Pacheedaht are our neighbours and our relatives, and we share with them a common language. We are negotiating in parallel, meaning each Nation will have its own treaty if negotiations are successfully concluded.